While many of us are finding ourselves in the dropping temperatures of fall, Dan Austin, Howard Hannemann and many other Synergy leaders are heading toward the warmth of Arizona! 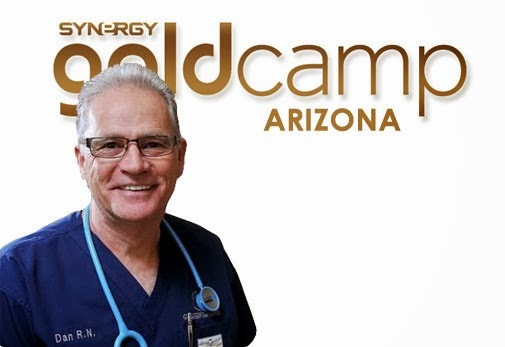 If you are able to be in the Phoenix/Mesa area next week, October 11th and 12th, join us for two valuable events, including a special session of Synergy’s Gold Camp. Featuring Dan Austin, the Chief Cardiac Care Nurse of the High Desert Heart Institute, along with Director of Sales Howard Hannemann and Presidential Executive Rudy Pedroza, this 2-event weekend will help you make the most of the Synergy Advantage. Friday, October 11 will be the date of our Opportunity Meeting event, open to all guests and family ($5 entry fee for Team Members, all guests are FREE). Here, Dan Austin will speak about what truly makes ProArgi-9+ so important and powerful, while Howard and Rudy speak about the value of our company overall and the opportunities it provides. Saturday, October 12 is the day for Gold Camp. This will be a morning dedicated to educating Synergy business builders. Leverage the bonuses, make the most of Mega Match, recruit, retain and achieve the results you’ve been hoping for. Gold Camp is only $15 per attendee, and you can register for this event by clicking here. Team Members are encouraged to bring guests to this event. Note: Team Members planning to attend both events can pay both entry fees on our secure registration page. For additional information, you can check the Synergy Calendar or the event registration page. To learn more about Dan Austin, click here.